1. These knit ornaments from Pomegranate Seeds are handmade by women in the Andes mountains. We just love this little flamingo with the santa hat. 2. Give the gift of warmth and coziness with these gloves ($30) and beanies ($24) from Captain's. 3. 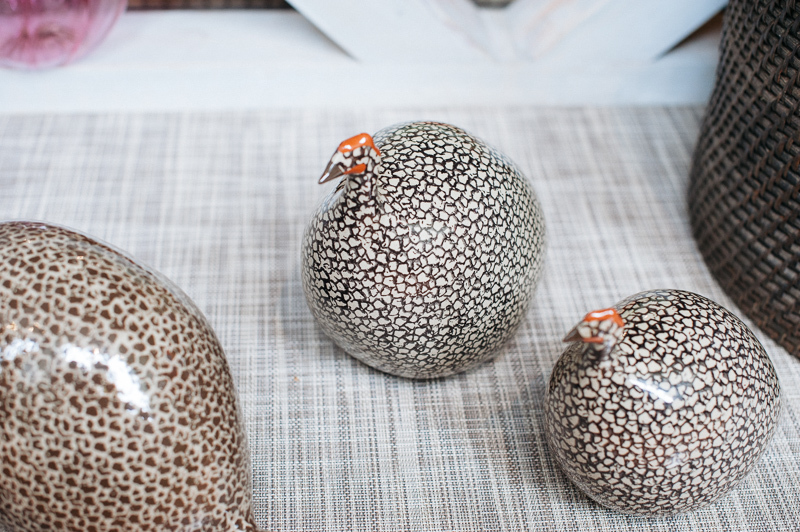 These glass guinea fowls are made and painted in France by a sweet 80 year old woman, according to the shop owner at Pomegranate Seeds. Give this special piece to someone special on your list. 4. Pair a new workout outfit with a gift certificate for yoga classes from Peacebank. The studio carries clothing and gear by Lululemon, Spiritual Gangsters, Beyond Yoga, and Manduka. 5. We love the intricate detailing on these beaded earrings available at Aili Ice Designs. 6. Who doesn't love fresh baked cookies? 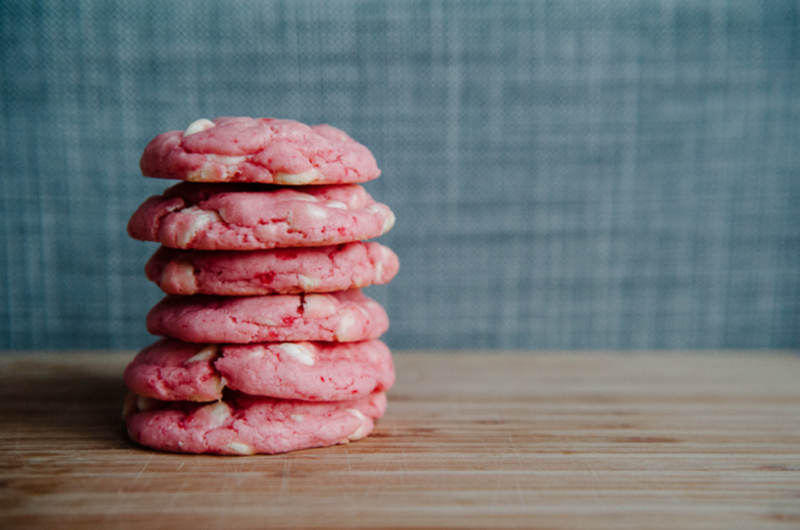 Rachel's Bake Lab has an amazing variety of the yummiest things, including these Strawberry Cheesecake Cookies ($18/dozen). If you live in Redwood City she'll even deliver them right to your door! 7. 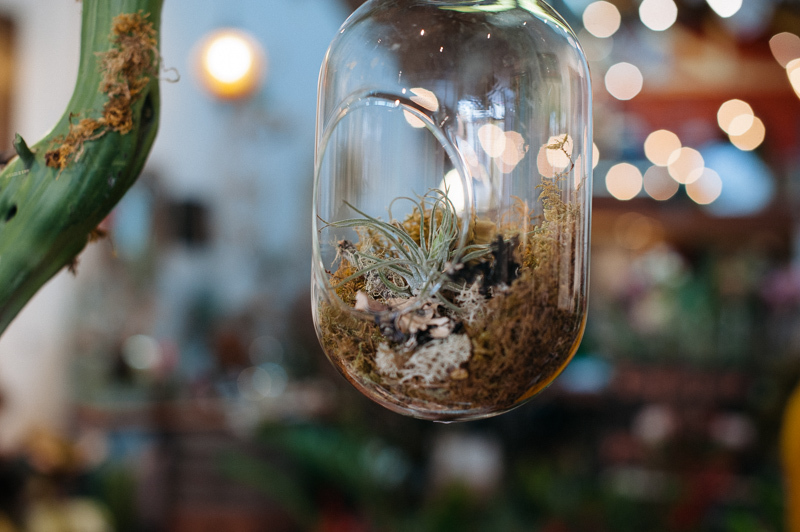 For the green thumbs, this hanging terrarium ($47) is a beautiful addition to someone's home, and is easy to take care of! Available at Aili Ice Designs. 8. These Votivo Candles ($16-42) smell like Christmas with scents like Red Currant, Icy Blue Pine, and Joie de Noel. The mirrored holders will match in anyone's home. Available at Brick Monkey on Broadway. 9. We love the antiqued look of these key necklaces handmade by Heirloom Relics. Available at Captain's and on Etsy. 1. How cool is this wood plant holder? These are designed and handmade right here in Redwood City by Lauren Goeser of Tamale Grande Designs. 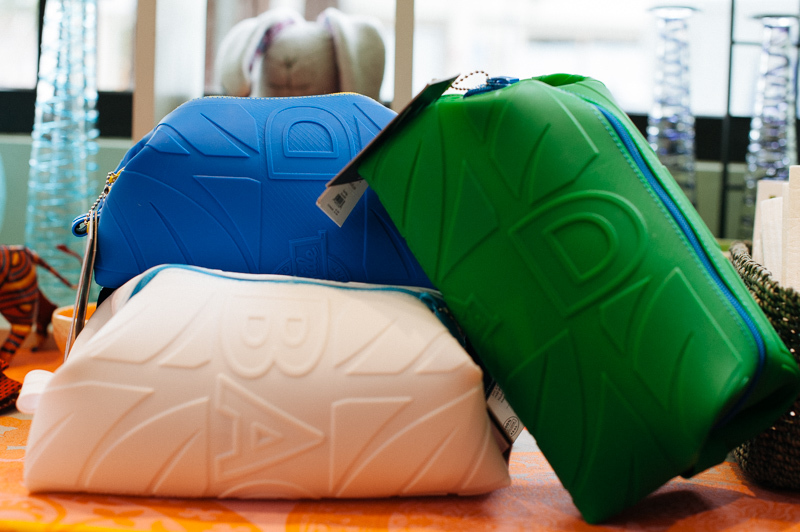 Selected designs also available at Aili Ice Designs. 2. 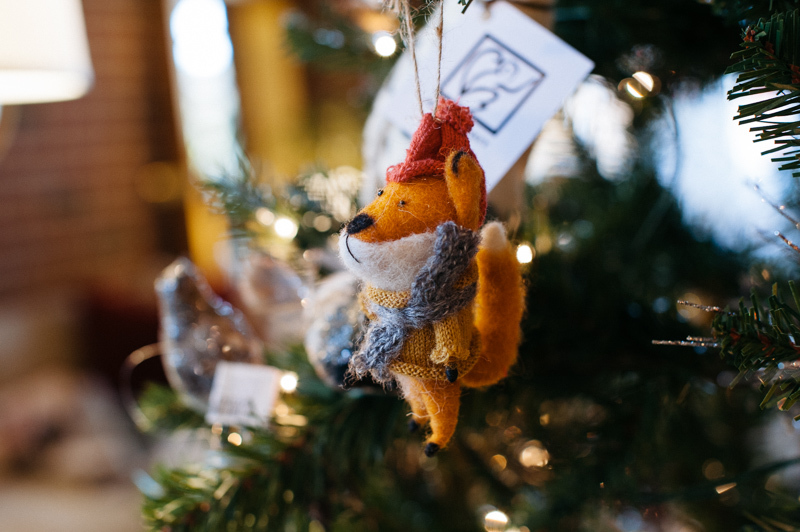 This sweet little felted wool fox ornament would be a great addition to any tree. Available at Brick Monkey on Broadway. 3. For weekend wear, check out the selection of baseball caps ($30) at Captain's. 4. Do you know someone who loves Redwood City as much as we do? Get them one of Captain's Redwood City tees ($20). 5. These awesome dopp kits by Wurkinstiffs ($49) are 100% silcone, leakproof, and would be perfect for a trip out of town. Available at Pomegranate Seeds. 6. 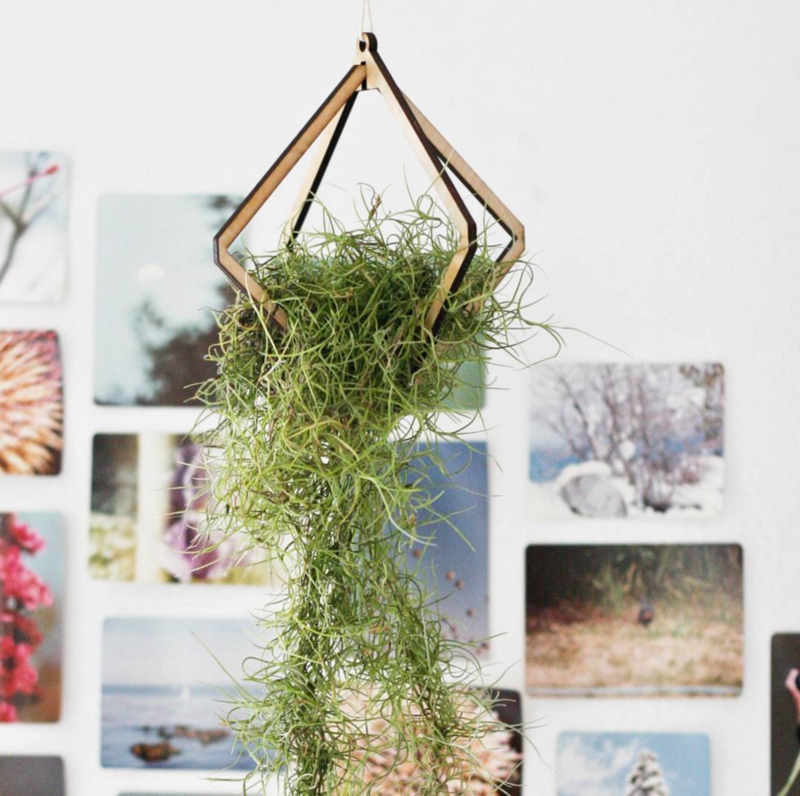 For the minimalist, check out this awesome wall succulent garden ($150) from Aili Ice Designs. 7. For the foodie in your life, give the gift of good coffee with ground beans from Bliss Coffee. They have a rotating tap from Four Barrel, Chromatic, Verve, and Temple. Add one of their cork to-go cups or a gift card. 8. Chances are you've had a brew at the Gourmet Haus Stadt in Redwood City, but did you know they also have a shop that's open during the day? 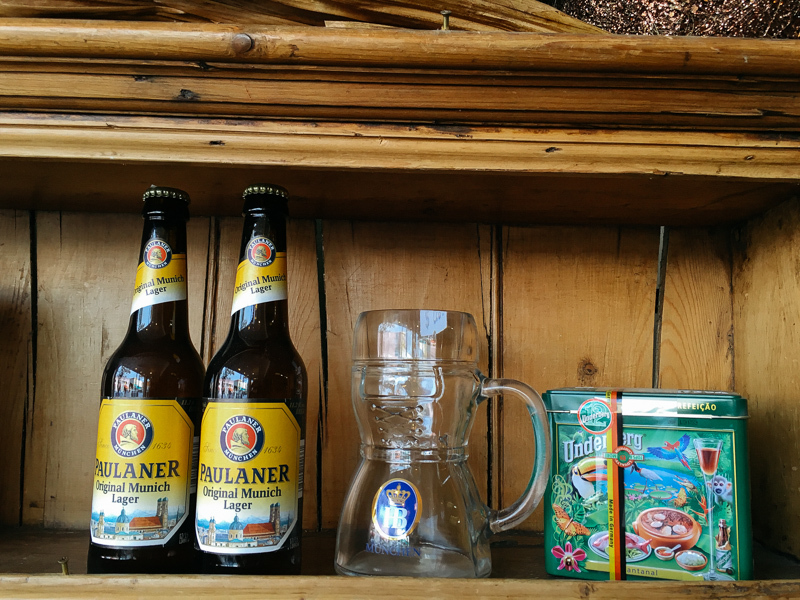 They have an awesome selection of German beers and steins, along with the most extensive selection of Haribo candy in town. 9. We're kind of obsessed with this wolf nutcracker ($165). So quirky and so perfect for Christmas. Available at Gourmet Haus Stadt. 1. 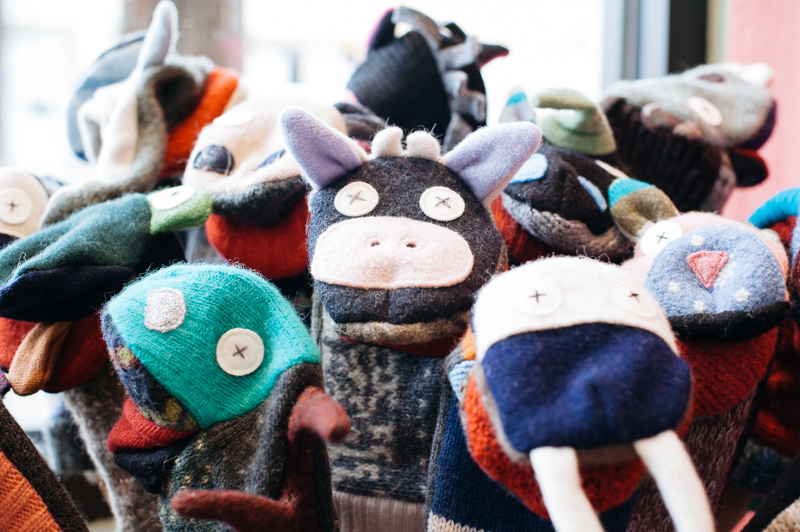 These fun puppets are made from recycled sweater remnants. Available at Pomegranate Seeds. 2. For your little skateboard enthusiast, Captain's has Penny boards ($99) and skate decks in a range of sizes and colors. 3. Captain's also sells altered clothing for kidos with patches and remnants, like this awesome little denim vest ($40). Stop by their shop to see the full collection. 4. Also made of recycled sweaters, these sweet stuffed animals ($65-70) would make an awesome buddy for any kiddo. Available at Pomegranate Seeds. 5. For the newborns on your list, Baby Leggings ($6.99) are a wonderful way to keep those teeny tiny legs warm while they're hanging around the house. Available at Bay Area Breastfeeding. 6. These plush loveys are super soft and oh so adorable. Available at Bay Area Breastfeeding.